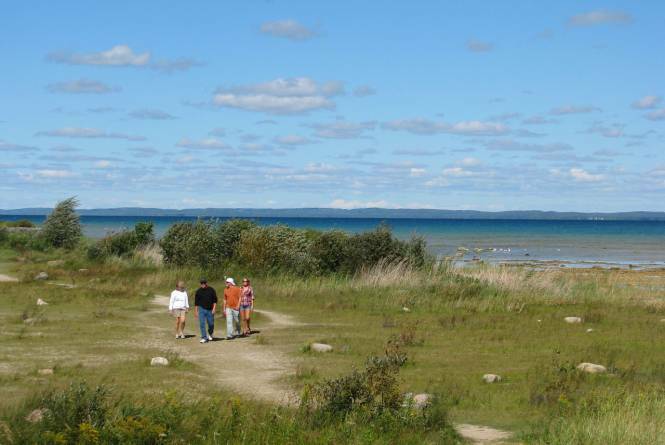 This pretty little park, located smack dab on the 45th parallel at the tip of the Old Mission Peninsula, has several miles of developed trail and about 40 acres of forest and abandoned orchards that can be explored. Most of the marked trail is flat and hard for easy riding or hiking. If you go off on your own on some of the farm lanes, you'll find a few small climbs. This trail system has the added benefit of being adjacent to one of the area's most beautiful beaches. 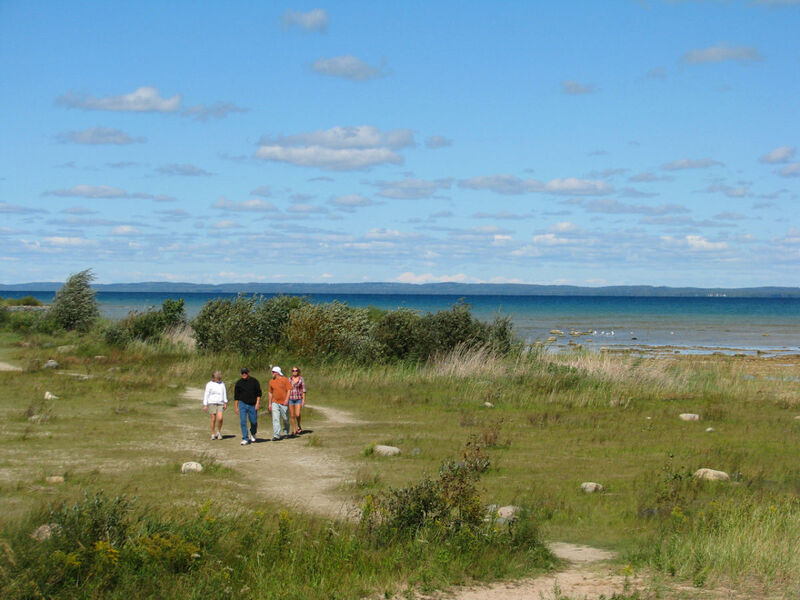 The shallow waters off the point warm up faster than the rest of Grand Traverse Bay, so be sure to pack your suit for a refreshing swim after enjoying the trails.